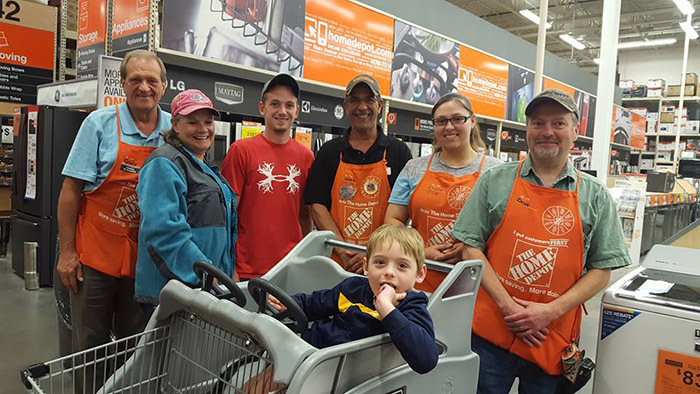 Home Depot employees in Gaylord, Michigan, helped a woman build the perfect birthday gift for her 7-year-old grandson — free of charge. Denise Haight said she was recently at Home Depot when she was approached by two associates, Gary and Lorel. When they walked up to her, Haight was deep in thought, trying to come up with a birthday gift idea her 7-year-old grandson, Cameron, who has autism. “He loves to put things in, take them out, open the door, close the door, raise the flag, lower the flag over and over (not necessarily in that order!) 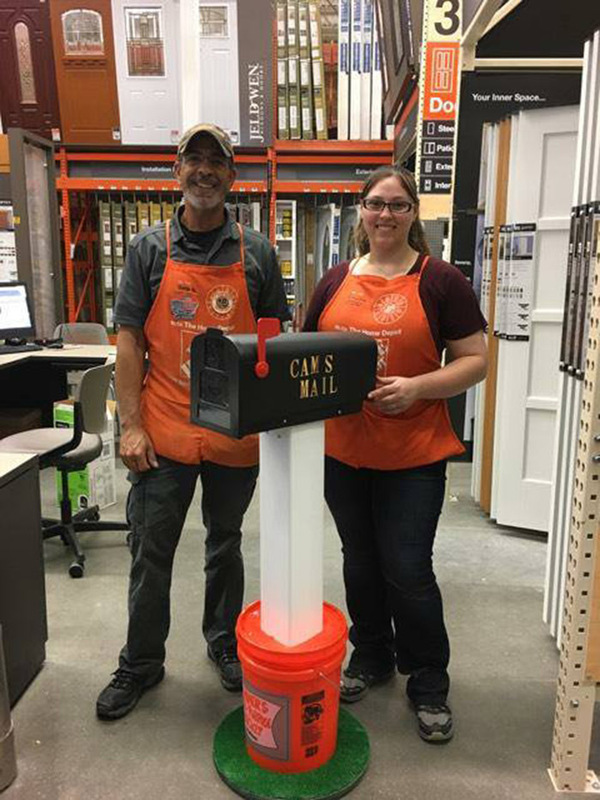 I was looking to put a mailbox together for his birthday that would be sturdy but able to be moved from room to room,” Haight said. 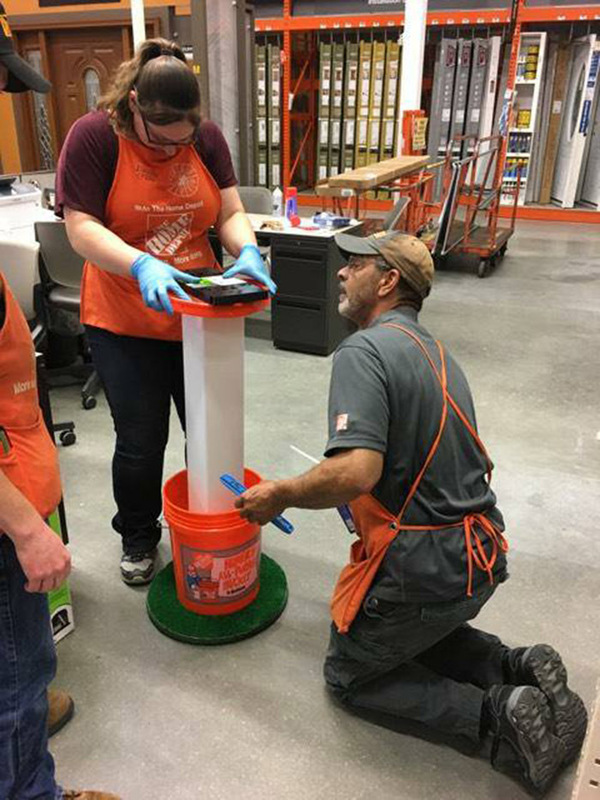 Haight returned to the store Saturday morning and met Gary at the service desk. 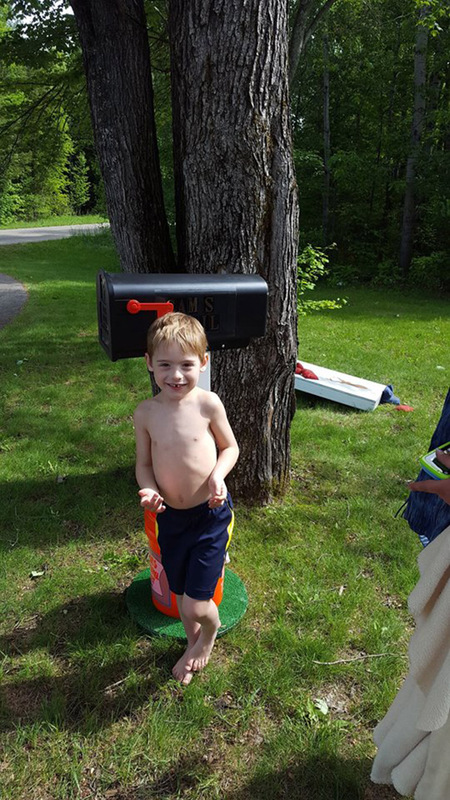 “He walked around the corner pushing a hand cart with the mailbox atop. I immediately teared up and told him it was perfect! 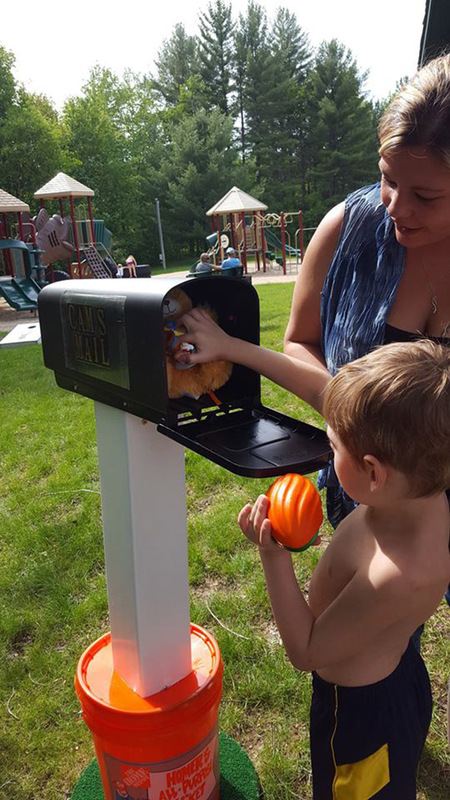 There was a Home Depot apron, a stuffed bear and a few small toys inside the mailbox,” Haight said. “I must have looked like an idiot pushing the cart through the check out crying like a baby,” she added. 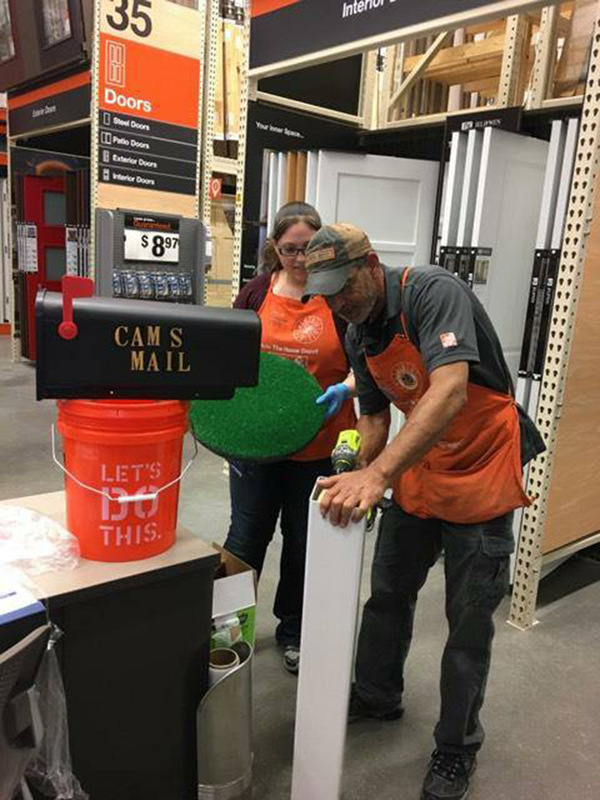 Haight shared several photos of the mailbox on Facebook. 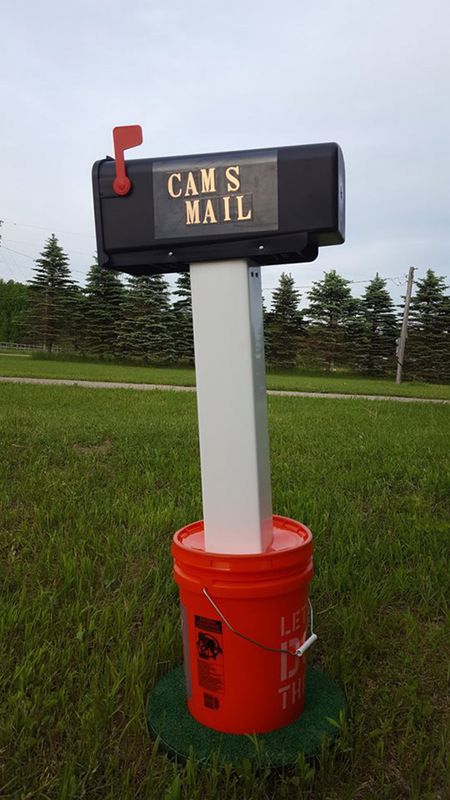 Now, people are sending Cameron mail!